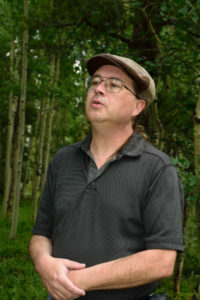 Les Barstow is a Colorado-based singer, composer, and multi-instrumentalist. A lifelong musician, Les got his start in classical and choral music, performing at the semi-professional level. He became involved in the Denver Irish music scene in 2009 and since then has been a regular at many of Denver's Irish sessions. He has performed in several Colorado festivals, and is currently a member of the Denver Irish traditional group Boys of the Town.